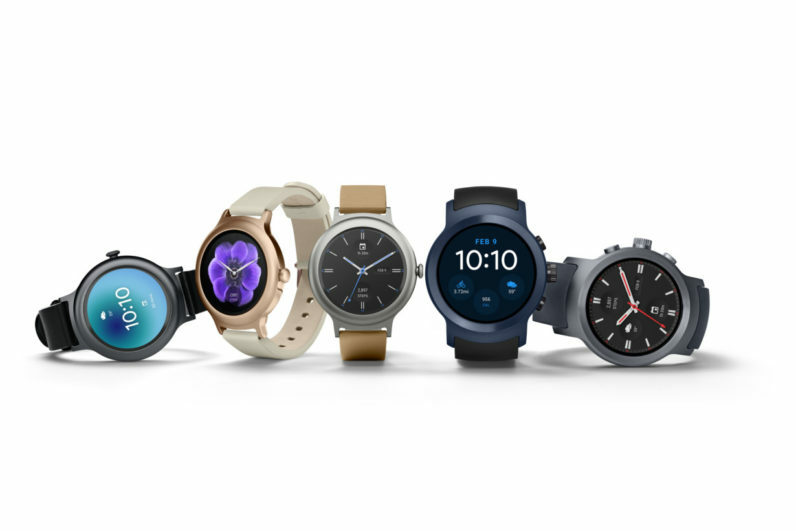 Today, Google announced the launch of Android Wear 2.0 – the latest update to Mountain View’s flagship smartwatch platform. Accompanying it are two tantalizing LG models, which will be available later this week. We’ll get to those later on. First, let’s talk about the software. Android Wear 2.0 has been radically overhauled, transforming it from what was a bit of a novelty into a legitimate accompaniment to your day-to-day life. Take watch faces, for example. These can now be customized in order to give you immediate access to vital data from your apps, and let you perform certain actions. One lets you order an Uber from your location, while another will let you check your shares. Also available are the same range of Android Wear apps, like AccuWeather, Android Pay, RunKeeper, Telegram, and Uber. But what’s different is how you can use them. If your watch has its own cellular connection – like the LG Watch Urbane – you’ll be able to use them without your phone being tethered. They work completely independently, although obviously, the experience won’t be anywhere close what you’d get on your handset. One of the baked-in apps is Google Fit, which has also seen a major upgrade, and now lets you track all the metrics die-hard gym rats care about, including pace, distance, calories burned, and heart-rate. Also present is the super-smart Google Assistant, which is a bit of a no-brainer. This has been making its way to more and more devices, from non-Google-made handsets, to Android TV. It was only a matter of time until it landed on Google’s main wearable platform, as was reported last month. Overall, Android Wear 2.0 emphasizes communications in a way that its predecessor simply didn’t. Nowhere is that more obvious than in the myriad of ways you can respond to messages. Now, when you get a notification, you can either dictate or hand-write a response, or even draw an emoji. For messages that are more private, but still urgent, you can choose to reply with a set of canned responses. This is reminiscent of TL;DR, which is one of the standout email apps for iOS and the Apple Watch. This brings us to the hardware side of things. Android Wear 2.0 launches with two totally drool-worthy devices that have got me googling how much my left kidney is worth. First, there’s the LG Watch Style, which focuses on fashion rather than function. This comes in three colors – silver, rose gold, and titanium – and is compatible with snap-and-swap 18mm leather and silicone bands. This also allows you to control it through a rotating power button that’s very similar in execution to the Digital Crown on the Apple Watch. But the real star of the show – the John Lennon to the LG Watch Style’s Paul McCartney, if you will – is the LG Watch Sport. This is the Style, but on steroids, packing in NFC for payments, GPS for navigation, cellular connectivity, and a heart-rate sensor. Available in titanium and dark blue, this also includes dedicated buttons for Google Fit and Android Pay, plus the same rotating power button that’s on the Style. Both watches will be available from the 10th. You can grab the Style at Best Buy and the Google Store. Unsurprisingly, given the built-in cellular radio, the Sport is being sold at AT&T, Verizon, and the Google Store. Those based outside the US will have to wait a little longer to get their hands on either watch. They’ll launch in Canada, Russia, Saudi Arabia, South Africa, South Korea, Taiwan, the United Arab Emirates, and the UK in the coming weeks. Those with a compatible device can expect their update to Android Wear 2.0 to land in the coming weeks.